When your job requires steel or safety toe footwear, you probably immediately think you'll have to wear heavy work boots, right? Wrong. Reebok is committed to providing their legendary comfort from their line of athletic shoes to those in the workforce as well. The ... (see full details) (see specifications) #RBKRB4016. When your job requires steel or safety toe footwear, you probably immediately think you'll have to wear heavy work boots, right? Wrong. 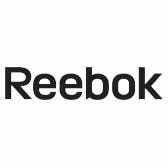 Reebok is committed to providing their legendary comfort from their line of athletic shoes to those in the workforce as well. These Reebok Men’s RB4016 Black Sublite Work ESD Athletic Steel Toe Shoes are the answer to your men's footwear woes. Lightweight and designed to reduce fatigue in your feet while working, these men's shoes use Sublite EVA foam technology in the dual-density midsoles to act as a shock absorbers for your feet. Above the midsoles, your feet will be cushioned by the MemoryTech footbeds. With each step, your feet will feel more comfort and less stress than anyone around you, ensuring you can stay on your feet longer with less regrets. The moisture-wicking nylon mesh is help rid your these Reebok shoes of the sweat molecules produced by your feet. The leather and MicroWeb black with grey trim uppers are designed to give you a light and breathable yet durable pair of black shoes that also look pretty sleek. Finally, these safety toe shoes are ASTM F2413 certified, rated for ESD (static-dissipating dual-resistors), and slip-resistant. Rubber outsoles will help you keep your footing, especially on slippery work floors. Look good, feel good, and be safe in these Reebok Men’s RB4016 Black Sublite Work ESD Steel Toe Athletic Slip-Resistant Shoes...order a pair from Working Person's Store today! These are great shoes for work. I work in a warehouse and there are days when I'm on my feet all day. I needed shoes that would last all day, wouldn't be damaged in the rain, and would be comfortable to wear. These shoes are extremely light, comfortable, easy to clean and worth the price. A must have for any warehouse worker. These shoes are very sturdy and well built, they are also light weight. Unfortunately the comfort factor is not there. They are very stiff, which will eventually break in, though the insoles are also very hard. I would recommend an aftermarket insole. Reebok Shoes: Men's RB4016 Black Sublite ESD Steel Toe Athletic Work Shoes is being added to your cart.